Alarm calling behaviour is often associated with organisms belonging to complex social structures, such as meerkats, primates and many social birds. Meerkats are socially obligate, cooperatively-breeding mongooses that exhibit a sophisticated alarm calling system. 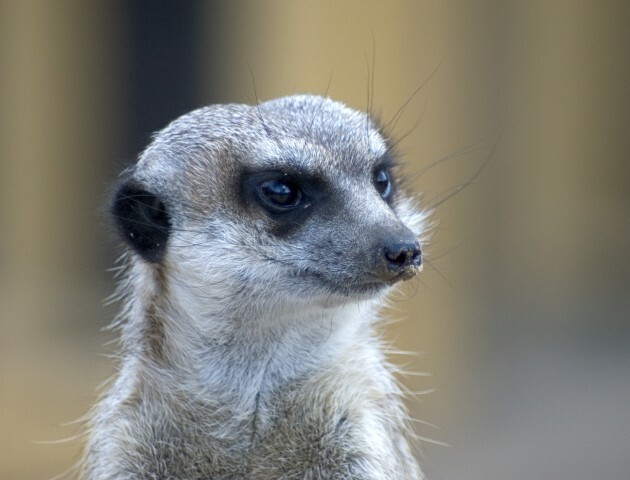 Through the use of both audio and visual cues, the alarm calling behaviour of a small population of meerkats situated at Blair Drummond Safari Park, Stirling, was investigated. The chief aim of the experimental process was to determine whether the colony of captive meerkats was more likely to respond to visual artificial predators, audio clips of threatening predator calls, or both simultaneously. It was discovered that these captive meerkats responded more strongly to aerial rather than terrestrial predators, and to both silhouettes and calls presented simultaneously rather than individually. Furthermore, the evolution of potential alarm calling behaviour was then theoretically modelled using the programming language R, where the expected costs and benefits of an individual producing a conscious alarm call were considered for both solitary organisms, living entirely remote lives, and complex social structures, which would typically exhibit communal breeding and shared care of young. It was concluded that alarm calling behaviour in nature may occur within solitary organisms, providing that the mean inter-individual spacing (MIIS) is low enough to allow the fitness benefits to override the energetic costs of producing the call. With regard to social organisms, it was apparent that the benefits of producing a call (particularly inclusive fitness benefits) were increased as the genetic relatedness between group members was increased. Meerkat (Suricata suricatta). Image coutesy of Dreamstime by Piotr Gilko. Slender tailed meerkats (Suricata suricatta) are small relatives of the mongoose family and typically live in highly social family groups of approximately 30 individuals, which consist of a dominant pair, that monopolize the breeding, and many related helpers (Reber et al. 2013). On a daily basis, the meerkats of Blair Drummond Safari Park were commonly found to be sleeping, grooming, digging, foraging for food, and on watch for potential predators. Vocal communications, or ‘close calls’, were apparent between group members whilst digging, which function to maintain group cohesion (Reber et al. 2013). A meerkat was often situated upon the highest perch available within the outdoor enclosure. Guarding from a raised position is commonly alternated between group members, where the watching individual will alert others of potential danger by producing various alarm calls (Schibler and Manser, 2007). This individual is typically referred to as the ‘sentry’. In addition, foraging meerkats will also regularly scan the surroundings and will warn others of potential threat in the same manner (Schibler and Manser, 2007). ‘Sentinel behaviour’, in this discussion, refers to instances where any individual was seen to be standing upright on its hind legs and appearing vigilant. During normal life within the colony, sentinel behaviour was evident when aeroplanes flew past, rangers drove trucks nearby, animals from adjacent enclosures produced calls, and when birds rustled the leaves of the trees situated in the outdoor enclosure. Thus, this behaviour was commonly elicited when any form of threat, however mild, was detected by group members. However, sentinel behaviour was also apparent during feeding times, and when the keepers were in close proximity to the outdoor enclosure. It would seem likely that the meerkats could recognize the green staff uniform and thus anticipate when they would be fed. Also, the emergence of the sun from behind a cloud also appeared to elicit this behaviour. Due to their small size, the thin layer of fur, and black absorbent skin, meerkats often use the suns radiant heat to warm up after cold spells. Thus, sentinel behaviour is not always necessarily linked to the detection of threat during everyday life, and was regularly abandoned in the outdoor enclosure during cold weather conditions. The captive meerkats appeared to be relatively habituated to human observers, and would often continue with their daily activities as normal despite the presence of several visitors around the outdoor enclosure. Results of the preliminary observations confirmed that visitors, along with other factors, in general did not have a significant effect on various aspects of the colony’s daily activities and behaviour, verifying that these variables were not responsible for the responses elicited during the treatments. Meerkats are predated upon by a wide range of both aerial and terrestrial predators, including goshawks, giant eagle owls, hyenas, cape cobras, and puff adders. The pups are also predated upon by specific predators, such as genet cats and cape foxes. The most feared enemies that occur throughout natural meerkat habitats (arid regions of Southern Africa) are martial eagles and black-backed jackals, and thus these organisms were selected to represent an aerial and terrestrial predator in the experimental treatments presented. The captive population of meerkats at Blair Drummond Safari Park could never have encountered these organisms in real-life situations, providing an important opportunity to determine whether alarm calling behaviour would persist within this meerkat colony as it would in the wild. Throughout the entire experimental procedure, all meerkats present in the outdoor enclosure responded, in some form or another, to the threatening calls and predator silhouettes that were presented either individually or simultaneously. Thus, in this particular case, anti-predator behaviours were hereditarily retained by these meerkats in captivity. However, this does not imply that such behaviours are always retained within other captive populations, or that the behaviours elicited are effective against predation. For example, due to the severe lack of extreme predatory experiences, the alarm calls produced may not have been used in their correct context. The strongest responses that were evoked during the experimental treatments were the production of alarm calls and movement belowground. As soon as the stimulus was presented, these behavioural responses often occurred almost immediately and persisted for a short period after the stimulus had ended. Thus, not surprisingly, it was found that ‘time’ had a significant effect on these responses (note: time, in this case, represents the length of time following the stimulus and not timing in general, as in the preliminary and pre-experimental data). In addition to time, it would appear that the aerial predator (martial eagle) and both stimuli together (call and silhouette) had the most significant effect on these response variables. Thus, it could be inferred that the meerkats of Blair Drummond Safari Park typically respond more strongly to aerial predators rather than terrestrial predators, and to silhouettes and calls presented simultaneously rather than separately. The more feeble responses that took place during the experimental treatments, such as watching continuously on hind legs, watching briefly, and no response, occurred much later on after the particular stimulus was delivered, and thus time was the only significant explanatory variable in these cases. It was hypothesized that, if a response was elicited by any one treatment, the process of habituation would eventually begin to take place after a set period of time. This was almost certainly the case, and by the end of the experimental treatment, although the meerkats did still respond to the various treatments that were presented, this response was not as robust as it was at the beginning. The total duration of vigilance was gradually reduced, and the statistical analysis revealed that ‘day’ had an overall significant effect on the strongest responses that were elicited. Alarm calling behaviour is typically associated with organisms belonging to complex social structures, such as meerkats, primates and social birds. However, it was hypothesized that alarm calling may possibly occur within mostly solitary organisms, providing that the mean inter-individual spacing (MIIS) between individuals is close enough to allow other organisms to benefit from such calls and possibly reciprocate in future. However, any MIIS beyond a specific critical threshold point should not favour the evolution of alarm calling behaviour in solitary organisms. This threshold value is the point at which the benefits of producing an alarm call are equal to, or are outweighed by, the costs of producing that call. Regardless of the social status of the calling organism, the costs associated with producing an alarm call include the attraction of a predator and the energetic cost of producing the call. In the case of solitary organisms, as MIIS is increased, the energetic cost of producing an alarm call should increase (in terms of intensity), as well as the individual probability of being selected by the predator on any one occasion. The strength of the relationship between the MIIS and the benefits or costs of an organism producing an alarm call was varied by modelling 4 different gradients, where any one of these relationships may occur within nature. If the gradient of 0.001 was the prevailing relationship seen in the wild, the production of an alarm call by a solitary organism in the face of danger could occur regardless of MIIS, as for any spacing between 0-100 units, the fitness benefits to other individuals exceed the costs of producing the call. This situation is, however, not the case for other gradients, such as 0.01, 0.05, and 0.1, where the relationship is much steeper. Each of these gradients exhibit a threshold MIIS value, whereby alarm calling should not occur beyond this point as the costs of producing the call are likely to exceed the fitness benefits. The threshold points were approximately 80, 18, and 8 for the gradients 0.01, 0.05, and 0.1, respectively. Thus, it would appear that as the relationship between MIIS and the costs and benefits of producing a call is strengthened, the fitness benefits decrease and the energetic costs increase more rapidly. However, it is worth noting that this model is simple, and the occurrence of alarm calling in real-life solitary organisms may be dependent upon various other factors aside from those modelled. The same principles could be applied to organisms that form complex social structures. As well as the possibility of reciprocal altruism and selfish herd effects, social organisms may also gain from the production of alarm calls through inclusive fitness benefits. These benefits result from successfully warning and saving the lives of other closely related individuals that share part of the genetic make-up of the calling organism. The degree of genetic relatedness can vary depending on the social group members and species under consideration. Individuals may belong to a tight-knit group, but may not necessarily show a high degree of relatedness. By contrast, special forms of reproduction seen in various invertebrates, such as haplodiploidy, where more than half of an individual’s genetic content is passed onto subsequent generations, can make group members very highly related to one another. Thus, the maximum inclusive fitness benefits of producing an alarm call at the minimum MIIS will be highest in organisms with the highest degree of genetic relatedness. Social structures displaying various degrees of relatedness were modelled for the same four gradients as before, where again, any one of these relationships may occur within nature. For any social group, the production of an alarm call in the face of danger could occur regardless of the MIIS for a gradient of 0.001, as the inclusive fitness benefits were always far greater than the costs for any spacing between 0-100 units. However, again, this was not the case for other gradients (0.01, 0.05, and 0.1), and various threshold values were apparent, whereby the evolution of alarm calling behaviour should be prohibited from taking place beyond this point. It was apparent that, for any particular gradient, the inclusive fitness benefits were always higher as spacing was increased when the members of the social group displayed a higher degree of relatedness, as these organisms are more likely to gain from such benefits than social groups that are not necessarily very closely related. It is finally worth noting that, again, this model is simple, and aspects of alarm calling behaviour in nature will be more dynamic than implied by the models. Schibler, F., Manser, M. B. (2007) The irrelevance of individual discrimination in meerkat alarm calls. Anim. Behav. 74, 1259-1268. Caley is a life science graduate from the University of Dundee. Since graduating in 2014, Caley has worked as a Marine Biologist for Scotland's National Aquarium, the Cayman Islands Department of Environment, and Seal Rescue Ireland.